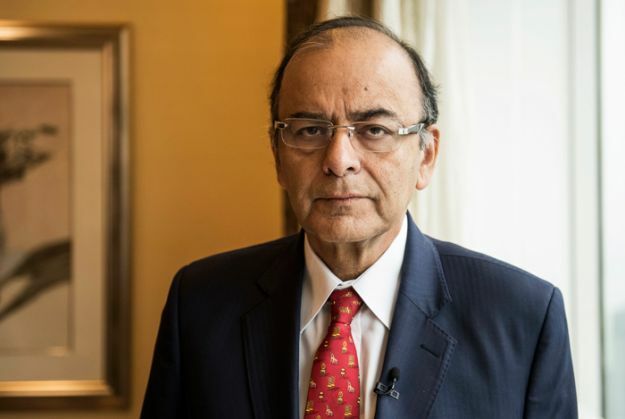 Finance Minister Arun Jaitley lashed out at the Shiv Sena on Tuesday, condemning their disruption of the India-Pakistan cricket talks and the inking incident ahead of former Pakistan foreign minister Khurshid Mahmoud Masuri's book launch.Jaitley said it was important to raise the level of debate instead of indulging in vandalism. "People indulging in vandalism should be strongly criticised. I don't think anybody in the BJP has resorted to these methods (vandalism)." "The last few days have seen an extremely disturbing trend where some people resorted to vandalism as an instrument to convey their views. What is disturbing is when these acts of vandalism are increasingly publicised, many are encouraged to use similar methods," he further added. "People using these methods must introspect whether they are adding to the quality of democracy or reducing credibility of India as a country. "Jaitley also commented on recent controversial remarks by BJP leaders. "2-3 people have made such statements. The party president has spoken to them. The PM has also expressed his views," he said. "In a large country like India there may be divergent views, but we've had a tradition of civility in conveying those different opinions". "Some of these issues are extremely serious, some can reflect on inter-community relations, others can reflect on sensitive areas such as J&K. Therefore, there has to be a proper civilised mode of discussing and debating these issues," he concluded.